The Tri-Tip Dip at North Hill on Garland. 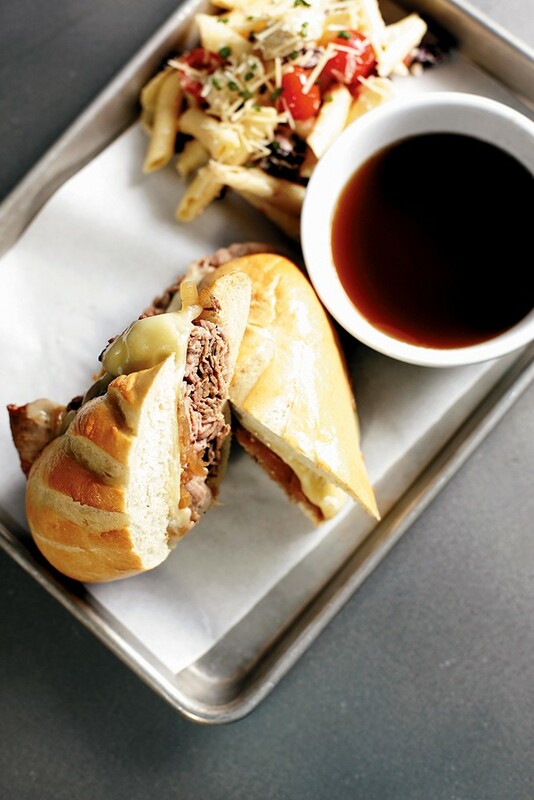 The qualities of a definitive French dip, as it turns out, can be a little contentious. Is anything but melted Swiss cheese OK? What distinguishes it from a Philly cheesesteak? What toppings, if any, are acceptable? Like many American staples, the sandwich's defining origins aren't totally clear. And as illustrated here, plenty of chefs take creative liberties with this beloved classic. There are, however, a few required elements for a "true" French dip sandwich: served hot, with thin slices of beef piled on a hoagie roll or baguette (i.e. French) bread. Above all, it absolutely must be served with a side of savory, rich au jus for dipping. The original print version of this article was headlined "Delightful Dips"